Online trading on mobile devices is one of the latest and biggest hypes in the financial sector right now, and the interest is increasing by the day. Still, many traders seem to be confused about mobile trading, and we hear a lot of people wondering if you can make money with trading apps. Now, while the trading apps themselves aren’t going to make you any money, they can be used as a tool to make money with the right strategy and some basic knowledge. So in an attempt to clear things up, we’ll walk you through what’s needed to use mobile trading apps to make money. Naturally, the first step of the process is to find a trading app that you will use as your trading platform. 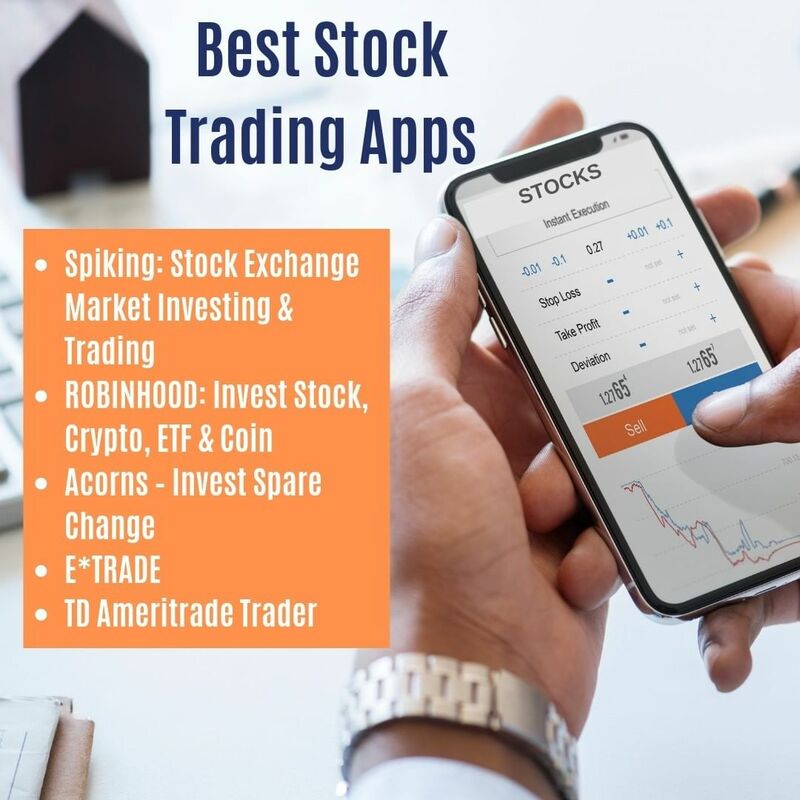 Depending on which instruments you want to trade, the apps look different, so before you pick an app, you need to decide what you want to trade. Most of the leading trading apps today are forex trading apps which is why we suggest you pick forex trading. Every regulated and safe forex broker in the industry offers mobile versions of their platforms so as long as you stick to the top brokers, you’ll get access to a great trading app. Making money as a trader, regardless of the market you’re focusing on requires a great understanding of the instruments as well as tried and tested trading skills. There are several very good trading courses you can partake in, and most brokers offer different types of educational material ranging from videos and webinars to guides and ebooks. Moreover, there is a huge selection of trading books available on the market that you can learn a lot of useful skills from. However, in our opinion, the best way to learn how to trade on a mobile app is to combine a trading course with a demo account. A demo account is a free and risk-free version of a brokers platform, and they are often available on the trading apps as well. The purpose of a demo account is to allow you to trade under real market conditions but without the risk of losing money. It’s a great way to gain an advantage of the market and a shortcut that wasn’t available only a few years ago. With access to a good trading app as well as basic trading skills, it’s time for you to start implementing a trading strategy. There is a range of different strategies that one can pick from depending on the instrument you’re trading, the number of funds you have available as well as the timeframe in which you want to earn money. Also for the best possible results you should really try and develop a strategy based on your own needs and preferences. You won’t become a rich trader overnight, but by combining the three factors we’ve mentioned above and putting in the time and dedication needed, you will be able to start making money from a trading app eventually. Of course, all of this is technically speaking since trading is associated with high risk. In fact, as many as 80% of recreational traders lose money in the long-term so be careful.